Product #46314 | SKU 066326 | 0.0 (no ratings yet) Thanks for your rating! 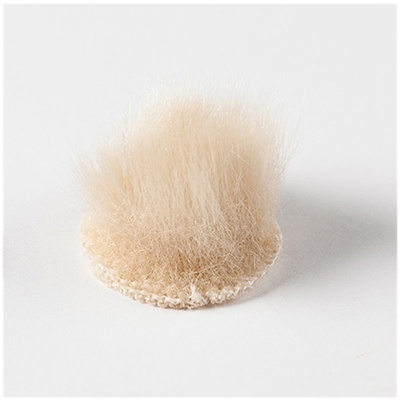 The beige, 100-pack of Overcovers Advanced, Fur Discs for Lavalier Microphones from Rycote is specifically designed for use with small personal microphones in windy outdoor conditions. Using the stickies (sold separately) to affix a lavalier mic onto the skin or on top of clothing, overcovers include a fur windjammer that can be affixed on top of the lav microphone, delivering excellent wind-noise protection.